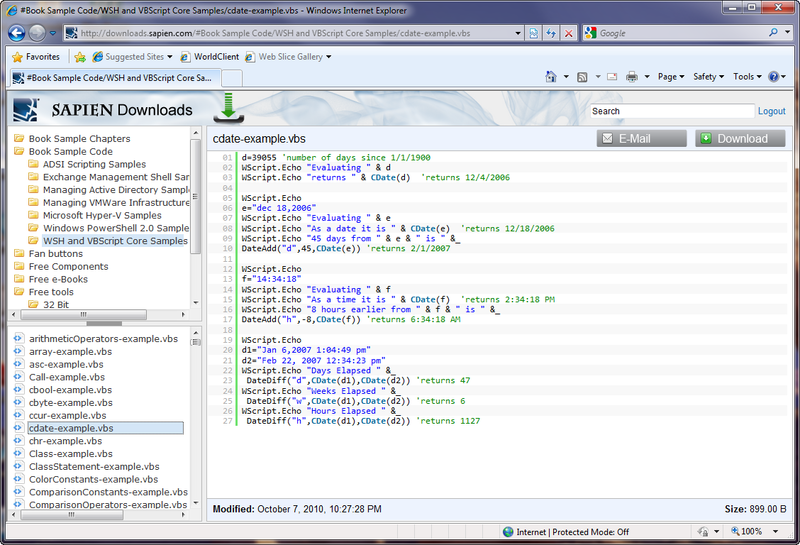 Making downloads available and easy to find is not always as simple as it may seem. 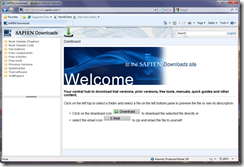 Over time, web sites grow, locations for downloads get fragmented, sometimes you will find different versions in different areas. 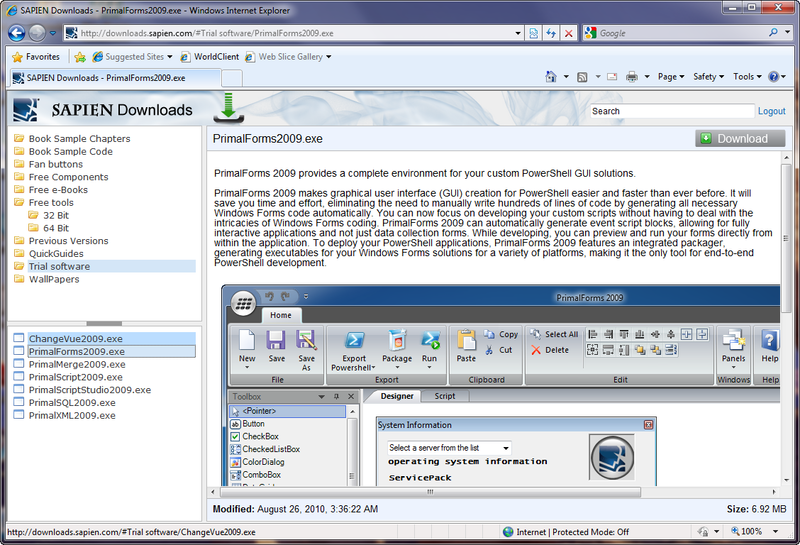 Right now, you download our trial software from primaltools.com, our free tools from another location there. 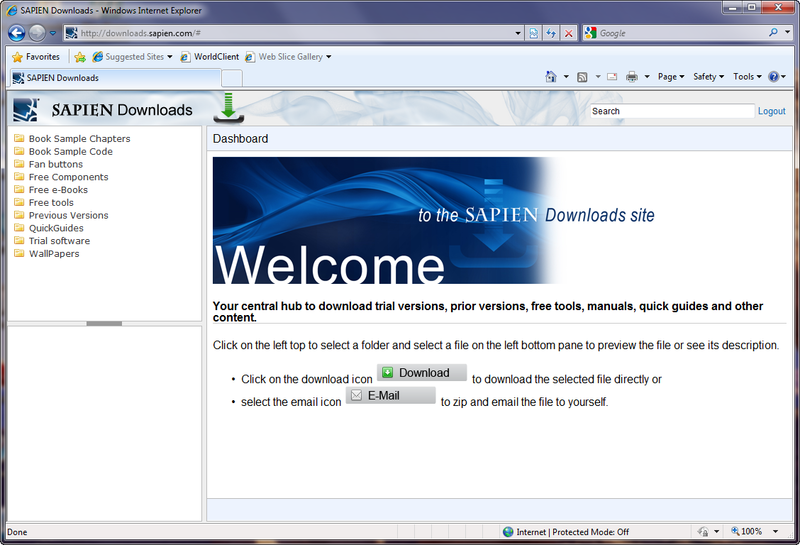 Registered users download from my.sapien.com and book sample chapters and scripts are located on sapienpress.com. 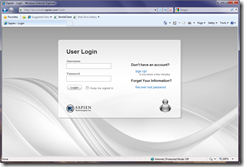 If you already have a SAPIEN login from my.sapien.com or scriptinganswers.com you can login right away and start exploring. 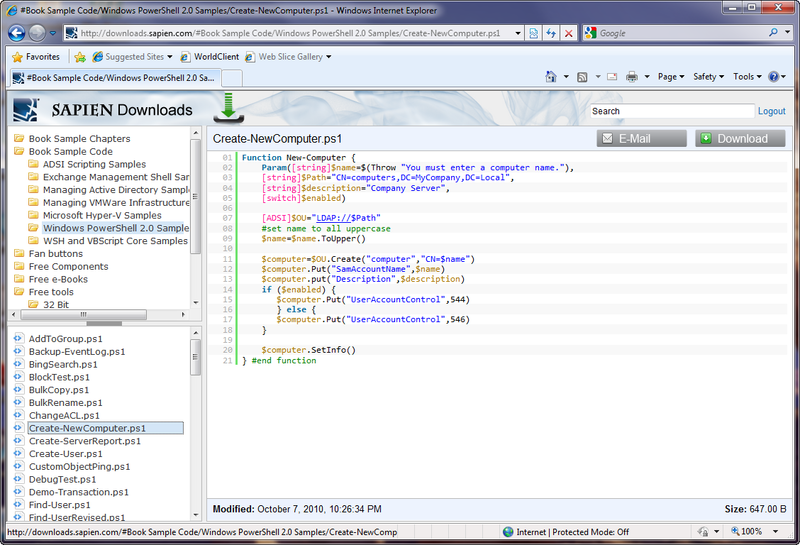 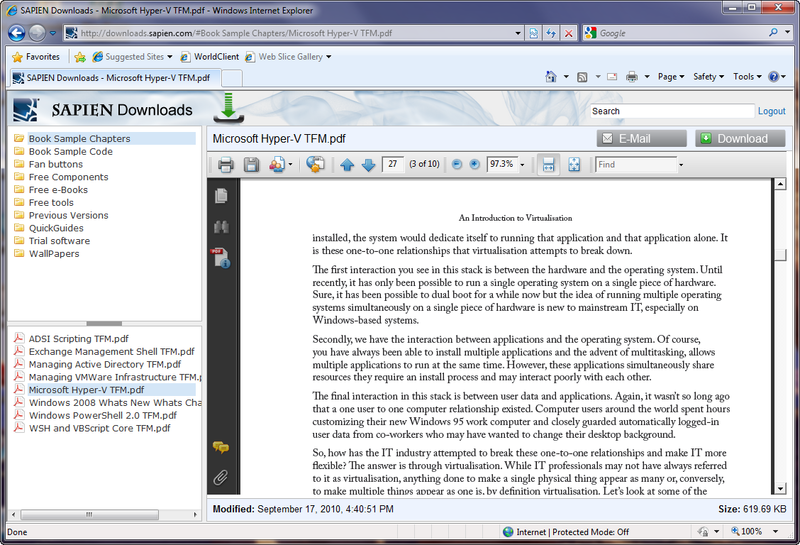 The layout should be instantly familiar to anyone who has ever used any Explorer style application. 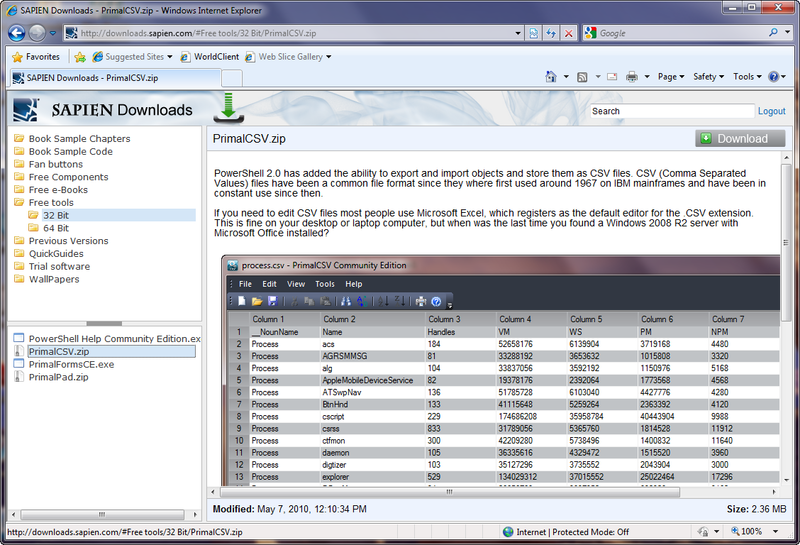 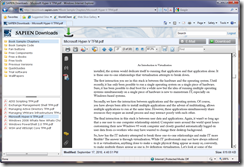 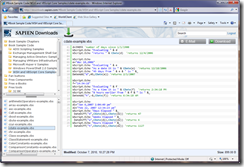 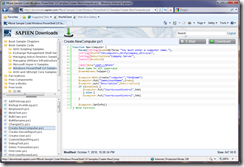 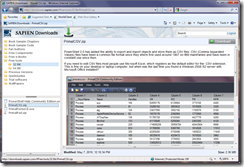 On the left-hand you have a split view between folders (top) and files (bottom) and the right-hand view shows the description for the files or its content depending on the file type. 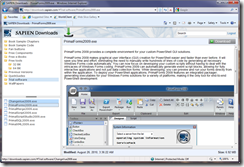 Every file can be downloaded with the large download button in the top right corner, smaller files can be zipped and emailed to your registered email account if you like. 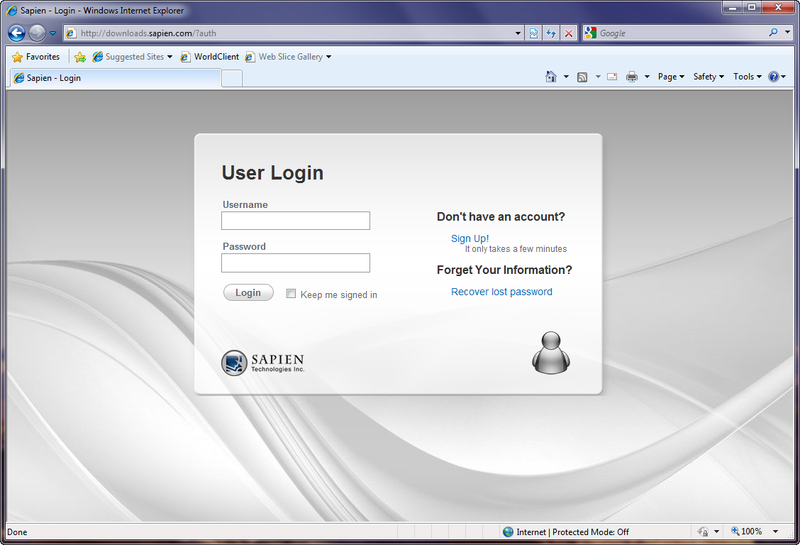 Of course you are also welcome to leave a comment here.